Home Remodeling & Upgrades Done Right! General Construction, Flood Remediation, Kitchen and Bathroom Remodeling, Custom Cabinet Makers and Granite Fabricators. At Graymark, we handle it all! Graymark Homes, LLC is a family-run construction company located in Spring, Texas. We are general contractors with decades of combined experience in home remodeling and upgrades. We’ve improved, repaired and remediated properties from San Antonio to Austin, Conroe to Sugarland. People ask us what our specialty is, but we don’t just have one area. We can handle everything from a complete redesign and rebuild of your home to a small kitchen upgrade. As a general contractor, we work to save you money on your construction project. A traditional handyman or “remodeling” company marks up each item and pads the profit in the quote. With Graymark, we work to find you the best prices on each item, whether it’s material or labor and we simply charge a modest management fee to handle all of this for you. Call us or book an appointment online today and find out for yourself how you can save money on your reconstruction or remodeling project while you relax and let us handle all the heavy lifting. We pride ourselves on being creative problem solvers. We can take your ideas and turn them into reality in your home, within your budget! Our Mission is to serve you with Honesty & Integrity, while providing the Highest Quality at affordable prices. Our team of professionals have been serving homeowners across the South with compassion, and a commitment to doing what is right. Graymark Homes has established a stellar reputation in the Remediation and Reconstruction industry. Don’t try to manage a construction project on your own. Let our team handle it for you and we’ll show you how to save money in the process. At Graymark, you’ll receive the highest level of service and the job is guaranteed to be done right – the first time! I lived next-door to Brenda for many years and know she and her husband Jim are amazing, hardworking and honest people. I hired Brenda to remodel our outdated master bathroom. From start to finish she was very knowledgeable of the entire process. She had ideas that I never would have even thought of. We had a budget we wanted to stick to and, with the right choices for the flooring, granite etc. the room looks gorgeous without breaking the budget. It looks like an upscale spa in our home. My husband and I would highly recommend her company. The owner/principles of Gray Mark Homes are proven to be experienced to build and remodel from start to finish. Professional, compassionate, and they have all the knowledge for the flood victims knowing what the insurance adjusters allow as well as FEMA. They can help guide through the process for every penny for their clients. Anyone that is able to be contracted with this group will be very blessed with their work and ethics ! I was invested in a project of building five townhomes. And long story short, and circumstances beyond my control, I was left with four unfinished townhomes. Not knowing where to start and not far from a state of panic, I called Brenda Salter. She was like a breath of fresh air! She assessed the situation then gave me a plan of action. She was there to answer any questions along the way and help in any way she could. From color schemes, floors, light fixtures and everything in between. Honestly, I don’t know what I would have done without her help! Priceless!! On 13 August 2016, our four-bedroom house in suburban Baker, Louisiana, was flooded. We were the last family to leave our subdivision by car, as water was rising fast. We went into Baton Rouge and were fortunate to get the last hotel room at the Mariott. The waters at our home ended up rising to shoulder height, destroying everything in our house. While seated in the lobby, we were approached by Chris Clark, seeking disaster reconstruction work. I trusted him and signed up with him on the spot. My wife criticized me for not first checking his background and references. While she was correct and I should have checked, I lucked out and made what I feel was a great choice. Sensitivity: Mr. Clark was very sensitive to our preferences as to how the house should look when completed. Availability: Mr. Clark returned calls, emails and text messages promptly and personally met us or our lawyer at the site when requested. Complicating factors: Having no place to live in Baton Rouge, my wife and I took refuge for 5½ months in the Philippines, where we own rental properties. Mr. Clark had no problem working with us even though we were on the other side of the planet. Quality: The quality of work was excellent. Reasonableness: Mr. Clark stayed within the budget allowed by the federal flood insurance award. The Great flood of 2016 was an unwelcome event that brought lots of devastation to the greater Baton Rouge areas. Our home received 4 ft of water and had to be completely gutted and rebuilt. Without knowing any contractors in the area, it was a true blessing to come in contact with Brenda Salter and [Graymark Homes]. Like with any home projects, there are always challenges and unexpected costs that arise and Brenda had a ” can do” attitude and didn’t take no for an answer. She managed to stay on budget and still meet our deadline while keeping a positive attitude. She excels as a project manager by always expecting the unexpected and being proactive. She shows GRIT under extremely challenging circumstances and puts her client’s needs first. I personally appreciated her efforts in keeping our project moving forward in spite of these challenges while minimizing any additional stress on our family. Furthermore, it was also an added plus that Brenda is an interior designer with a great eye for detail. Our family will be forever grateful for Graymark Homes and the quality of workmanship and professionalism that they displayed throughout our rebuild. 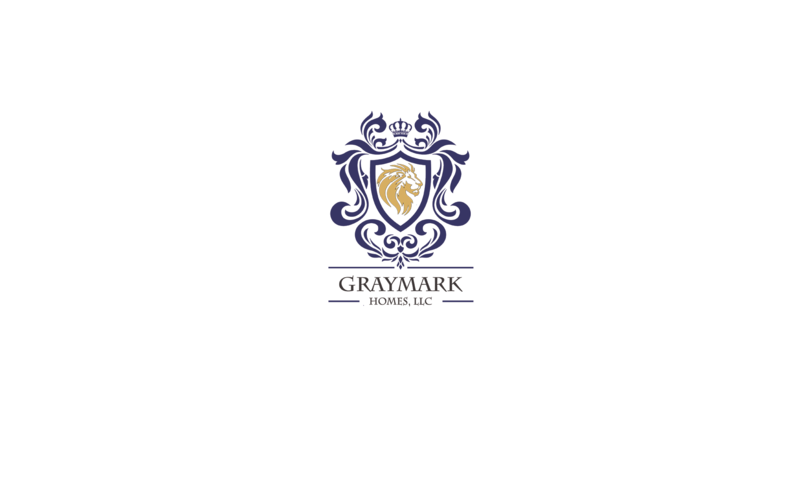 Graymark Homes, LLC is a Houston-Based homebuilder with over 40 years of experience in custom home building and remodeling, and more than a decade of experience in flood recovery. Our team has worked in both New Orleans and Baton Rouge putting homes and lives back together. Now that Hurricane Harvey has hit our own hometown, we are here for you. We have VeriTrust Certified remediation and construction crews in Houston. If you need a quote for tear out, remediation, reconstruction, or design, please call us at (281) 742-8000, or send an email with your contact information to: restore@graymarkhomes.com.